Don’t fool yourself—Donald is anything but an isolationist. MOAB sounds more like an incestuous, war-torn biblical kingdom than the GBU-43/B Massive Ordnance Air Blast, aka “the mother of all bombs.” Still, give Donald Trump credit. Only the really, really big bombs, whether North Korean nukes or those 21,600 pounds of MOAB, truly get his attention. He wasn’t even involved in the decision to drop the largest non-nuclear bomb in the US arsenal for the first time in war, but his beloved generals—“we have the best military people on Earth”—already know the man they work for, and the bigger, flashier, more explosive, and winninger, the better. These days, from Syria to Afghanistan, the Koreas to Somalia, Yemen to Iraq, it’s easy enough to see Commander in Chief Donald Trump as something new under the sun. (It has a different ring to it when the commander in chief says, “You’re fired!”) That missile strike in Syria was a first (Obama didn’t dare); the MOAB in Afghanistan was a breakthrough; the drone strikes in Yemen soon after he took office were an absolute record! As for those regular Army troops heading for Somalia, that hasn’t happened in 24 years! Civilian casualties in the region: rising impressively! He’s appointed generals to crucial posts in his administration, lifted restraints on how his commanders in the field can act (hence those soaring civilian-casualty figures); let them send more military personnel into Iraq, Syria, and the region generally; taken the constraints off the CIA’s drone assassination campaigns; and dispatched an aircraft-carrier strike group somewhat indirectly to the waters off the Koreas (with a strike force of tweets and threats accompanying it). And there’s obviously more to come: potentially many more troops, even an army of them, for Syria; a possible mini-surge of troops into Afghanistan (that MOAB strike may have been a canny signal from a US commander “seeking to showcase Afghanistan’s myriad threats” to a president paying no attention); and a heightened air campaign in Somalia—and that’s just to start what will surely be a far longer list in a presidency in which, whether or not infrastructure is ever successfully rebuilt in America, the infrastructure of the military-industrial complex will continue to expand. As the 100-day mark of his presidency approaches, there’s been no serious reassessment of America’s endless wars or how to fight them (no less end them). Instead, there’s been a recommitment to doing more of the familiar, more of what hasn’t worked over the last decade and a half. No one should be surprised by this, given the cast of characters—men who held command posts in those unsuccessful wars and are clearly incapable of thinking about them in other terms than the ones that have been indelibly engrained in the brains of the US military high command since soon after 9/11. That new ruling reality of our American world should, in turn, offer a hint about the nature of Donald Trump’s presidency. It should be a reminder that as strange—okay, bizarre—as his statements, tweets, and acts may have been, as chaotic as his all-in-the-family administration is proving to be, as little as he may resemble anyone we’ve ever seen in the White House before, he’s anything but an anomaly of history. Quite the opposite. Like those generals, he’s a logical endpoint to a grim process, whether you’re talking about the growth of inequality in America and the rise of plutocracy—without which a billionaire president and his billionaire cabinet would have been inconceivable—or the form that American war-making is taking under him. When it comes to war and the US military, none of what’s happened would have been conceivable without the two previous presidencies. None of it would have been possible without Congress’s willingness to pump endless piles of money into the Pentagon and the military-industrial complex in the post-9/11 years; without the building up of the national-security state and its 17 (yes, 17!) major intelligence outfits into an unofficial fourth branch of government; without the institutionalization of war as a permanent (yet strangely distant) feature of American life and of wars across the Greater Middle East and parts of Africa that evidently can’t be won or lost but only carried on into eternity. None of this would have been possible without the growing militarization of this country, including of police forces increasingly equipped with weaponry off America’s distant battlefields and filled with veterans of those same wars; without a media rife with retired generals and other former commanders narrating and commenting on the acts of their successors and protégés; and without a political class of Washington pundits and politicians taught to revere that military. After all, it wasn’t Donald Trump who had the hubris, in the wake of 9/11, to declare a “Global War on Terror” against 60 countries (the “swamp” of that moment). It wasn’t Donald Trump who manufactured false intelligence on the weapons of mass destruction Iraq’s Saddam Hussein supposedly possessed or produced bogus claims about that autocrat’s connections to Al Qaeda, and then used both to lead the United States into a war on and occupation of that country. It wasn’t Donald Trump who invaded Iraq (whether he was for or against the invasion at the time). 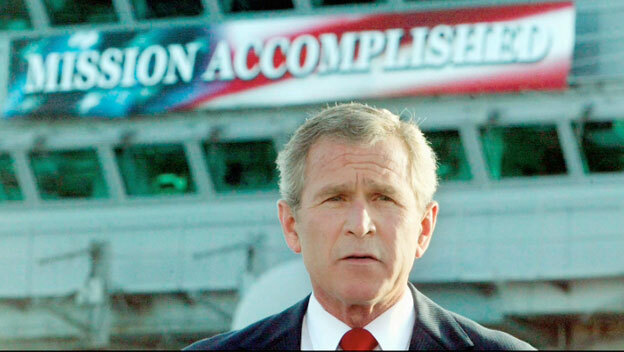 It wasn’t Donald Trump who donned a flight suit and landed on an aircraft carrier off the coast of San Diego to personally declare that hostilities were at an end in Iraq just as they were truly beginning, and to do so under an inane “Mission Accomplished” banner prepared by the White House. It wasn’t Donald Trump who ordered the CIA to kidnap terror suspects (including totally innocent individuals) off the streets of global cities as well as from the backlands of the planet and transport them to foreign prisons or CIA “black sites” where they could be tortured. It wasn’t Donald Trump who caused one terror suspect to experience the sensation of drowning 83 times in a single month (even if Trump was inspired by such reports to claim that he would bring torture back as president). It wasn’t Donald Trump who presided over the creation of a secret military of 70,000 elite troops cossetted inside the larger military, special-ops personnel who, in recent years, have been dispatched on missions to a large majority of the countries on the planet without the knowledge, no less the consent, of the American people. 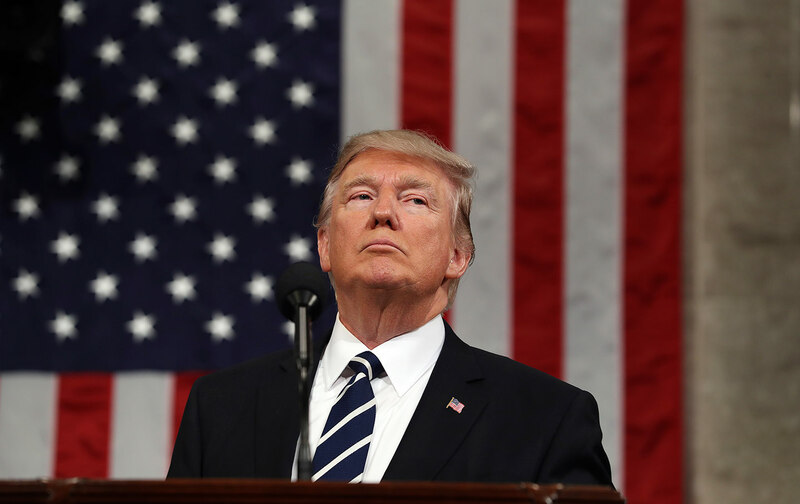 Nor was it Donald Trump who managed to lift the Pentagon budget to $600 billion and the overall national-security budget to something like a trillion dollars or more, even as America’s civilian infrastructure aged and buckled. It wasn’t Donald Trump who lost an estimated $60 billion to fraud and waste in the American “reconstruction” of Iraq and Afghanistan, or who decided to build highways to nowhere and a gas station in the middle of nowhere in Afghanistan. It wasn’t Donald Trump who sent in the warrior corporations to squander more in that single country than was spent on the post–World War II Marshall Plan to put all of Western Europe back on its feet. 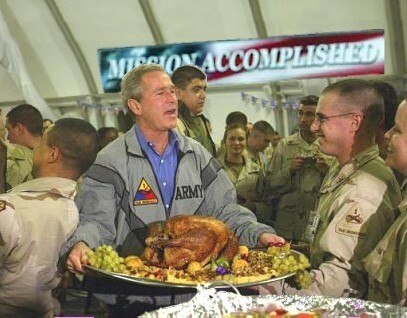 Nor did he instruct the US military to dump at least $25 billion into rebuilding, retraining, and rearming an Iraqi army that would collapse in 2014 in the face of a relatively small number of ISIS militants, or at least $65 billion into an Afghan army that would turn out to be filled with ghost soldiers. 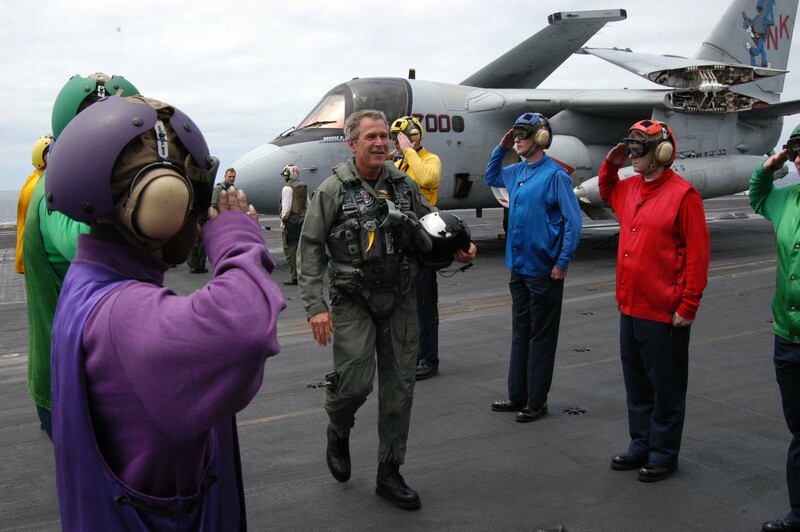 The previous two presidents had played the warrior regularly, donning military outfits—in his presidential years, George W. Bush often looked like a G.I. 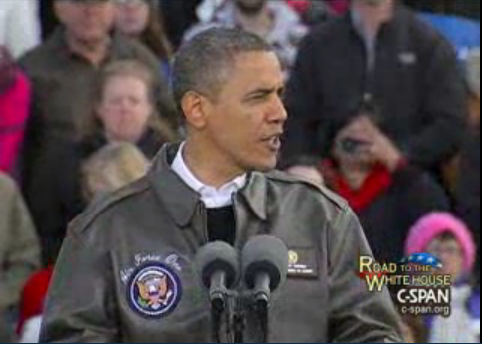 Joe doll—and saluting the troops, while praising them to the skies, as the American people were also trained to do. In the Trump era, however, it’s the warriors (if you’ll excuse the pun) who are playing the president. Donald Trump got none of this. His approval ratings quickly headed for the honeymoon cellar or maybe the honeymoon fallout shelter; the media and he went to war; and one attempt after another to fulfill his promises—from executive orders on deportation to repealing Obamacare and building his wall—have come a cropper. His administration seems to be in eternal chaos, the cast of characters changing by the week or tweet, and few key secondary posts being filled. In only one area has Donald Trump experienced that promised honeymoon. Think of it as the honeymoon of the generals. He gave them that “total authorization,” and the missiles left the ships, the drones flew, and the giant bomb dropped. Even when the results were disappointing, if not disastrous (as in a raid on Yemen in which a US special operator was killed, children slaughtered, and nothing of value recovered), he still somehow stumbled into highly praised “presidential” moments. Here’s the problem, though: There’s a predictable element to all of this and it doesn’t work in Donald Trump’s favor. America’s forever wars have now been pursued by these generals and others like them for more than 15 years across a vast swath of the planet—from Pakistan to Libya (and ever deeper into Africa)—and the chaos of failing states, growing conflicts, and spreading terror movements has been the result. There’s no reason to believe that further military action will, a decade and a half later, produce more positive results.